Preflop is that segment of the poker game from where everything begins. The cards are dealt; you got your hand and now its time to make the initial decision. It is just the beginning stage and that is why playing preflop is not that hard if you compare it with other rounds of betting. The basic thing is careful selection of hands and betting correct chips. Try to raise if you desire to avail strong hand before entering the pot. Calling big blind at this stage is just inviting the opponents with weak hands to sense a flop and take the benefits. So raise small so that the number of opponents waiting for a flop gets reduced. Your intention must be to dig over the weaker opponents when you have strong hands, by making proper raise. Get proper understanding of the bet sizes. Normal before the flop raise must be around four times of the big blind. Just doubling the big blind and making smallest raise, the money you bet is not sufficient to make your opponents worried. If you raise small, there will be several weaker opponents who will not respect your raise and join the game. They will try to take the advantages and ultimately your chance of winning the pot will be over. Therefore, raise strong in the preflop stages if you have good hands and eliminate the chances of weaker players from the game. While playing your hands in the game, what position you have at the table is very crucial. The player who acts last at the end of each round is always beneficial, which means the one who is positioned on the button is enjoying the best position. Player seating to the right of the button is in the second favorable position because he will also act almost last in every hand. Big blind and the small blind are definitely among the least desirable positions along with the seats that adjacent to the left side of big blind. Here you have limited option as you have to play the strong beginning hands only. You cannot do much even with a strong hand in these positions. Before the flop strategy tips. • If there are limpers before you, then raise more. If you have 4BB raise then add 1BB for every limper. • Try raising more when many players time after time call raise preflop. • At short-handed tables, opening hand necessities can be slackened. 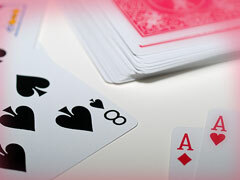 • Raising preflop does not signify your complete dedication to the hand. Starting of with a strong hand helps you win more money. You must act aggressive and indulge into raising and folding to wary your opponents. Being a new player, this would make things a lot easier.